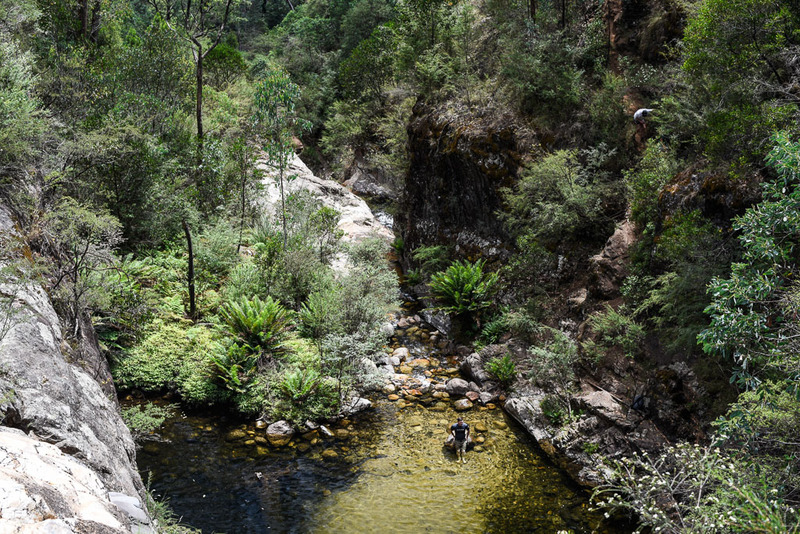 Swimming holes, waterfalls, distilleries and an award-winning vanilla slice – out by Mount Buffalo lies a nature-rich playground. 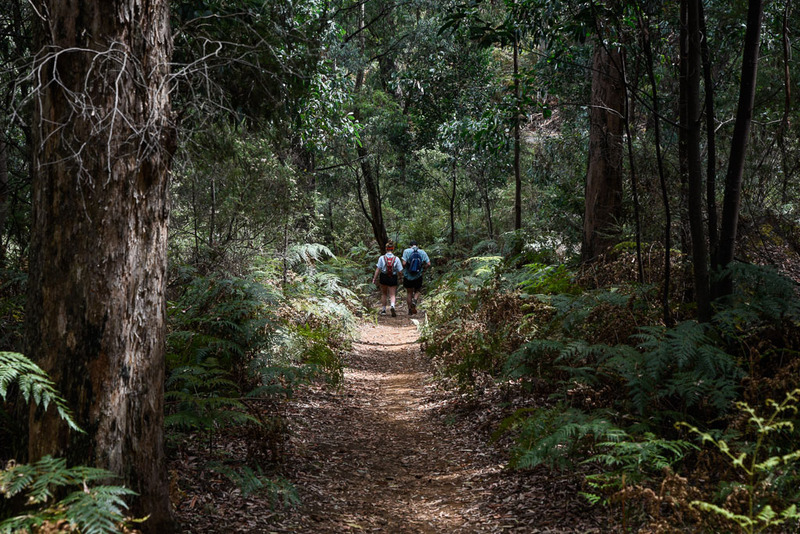 In partnership with Walk High Country, we explore the region and its highlights. The Ovens Valley in North East Victoria is a land of ever-changing colour, a slice of mountainous Europe in rural Australia. The area boasts bushwalks to beautiful mountain waterfalls, riverside picnic places, winery tours, picturesque towns to explore and boutique accommodation. Bright, on the banks of the Ovens River, is an ideal base to explore the region. The town never feels crowded despite the population swelling in summer and autumn when the events calendar goes into overdrive. Cyclists in particular flock here, since it’s situated at the end of the Mountains to the Murray Rail Trail. 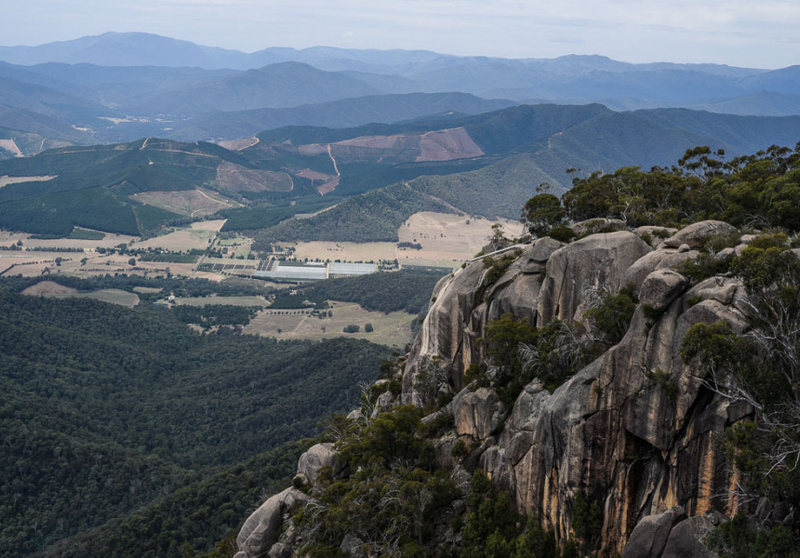 Mount Buffalo dominates the landscape. The lookout presides over a sheer, gasp-inducing drop, while Lake Catani on the summit plateau is one of Victoria’s most popular camping spots. Here’s our guide to exploring the area – and how to refuel once you’re there. 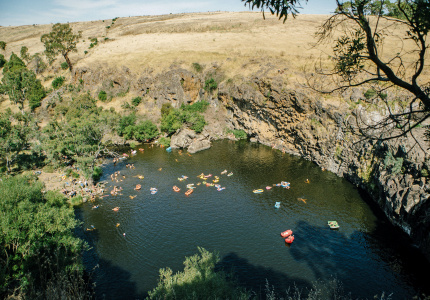 Rollasons Falls might be the greatest waterfall you can swim under in Victoria. The tumbling cascade down the slopes of Mount Buffalo is an impressive sight, but it’s the swimming hole beneath that really delights. You can dive into the deep, clear waters, or sunbathe on the herculean granite boulders that enclose the falls. 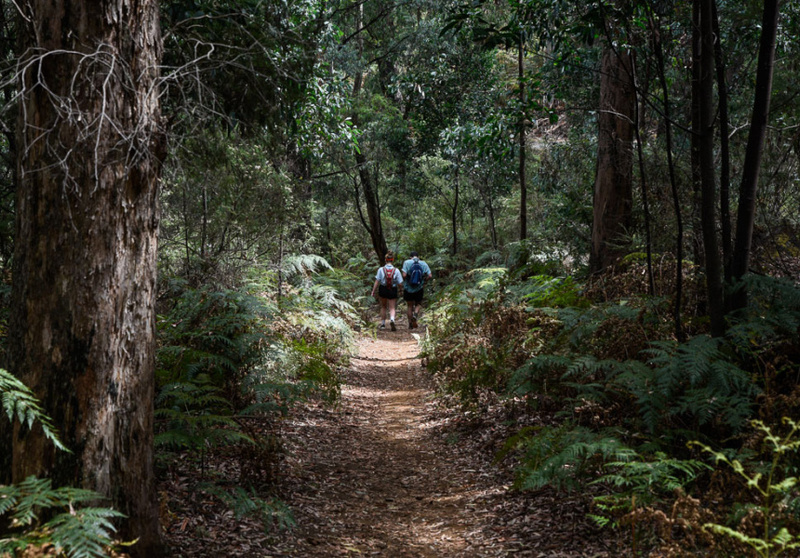 Although it’s set in a steep gully, the terrain is easily navigable for beginner hikers. 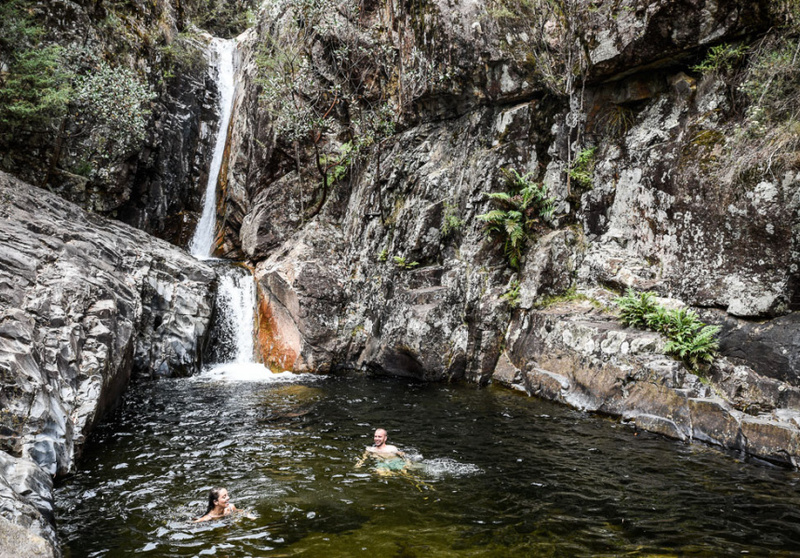 Some of the best spots can be found by climbing down the rocks below the swimming hole, where the lush bush surrounds gentle, amber-tinged pools. It’s a 4 kilometre walk there and back, but it feels like less. The track winds through the forest before descending to the falls. Another trail branches off to the top of the falls, where you can marvel at the drop and cool off in a calm, trickling section of the stream. If the sun’s out, don’t miss this special view of Rollasons Falls. Just 400 metres off the road from Mount Buffalo, this small waterfall looks like a tropical island movie set. The falls are hidden in a lush bush setting – take a picnic and dine on one of the rounded river rocks (be careful as some are deceptively slippery). The Falls got their name in the early 1900s, when women visiting Mount Buffalo would bathe separately from men, under the cascading water flowing down from Crystal Brook. It’s a busy spot on a hot summer’s day, and a particular favourite for families with small children. If you find it too crowded for comfort take the extra effort to drive further up the road before venturing onto Rollasons. Tronoh Dredge is a short but interesting walk around a small lake just north of the town of Harrietville. The lake resembles an American-style holiday camp with a jetty and a tree-swing, but it owes its existence to Australian gold mining. 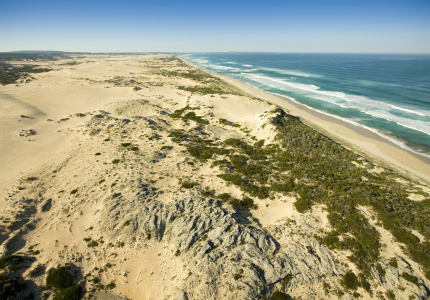 A 91 metre-long floating dredge once worked the landscape here, and the walking track takes you around the perimeter of the former mine. Named the “Mammoth” Tronoh Dredge, it scooped up gold-bearing material, depositing the tailings in clumps around the edges of the lake. Information boards provide a glimpse into this historical era. Sixpence Coffee’s full-bodied 3741 blend (roasted on site) has cemented their reputation in town and beyond. “It’s about letting the coffee be the star,” says manager Brendan Dykes. 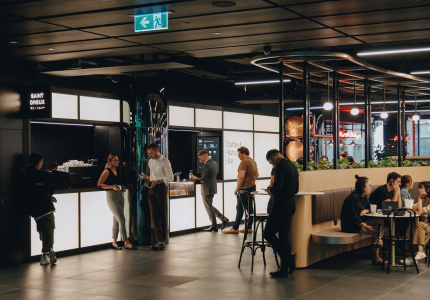 “We think we’re as good or better [than] any coffee in Melbourne.” The airy, modern space is shared with Reed and Co Distillery, an arrangement that makes perfect sense for the day-night transition. 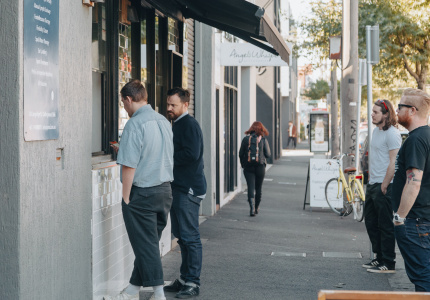 Once a closely guarded secret for locals, Pocket Full of Rye has built a loyal following on the back of its fine coffee and bakery. 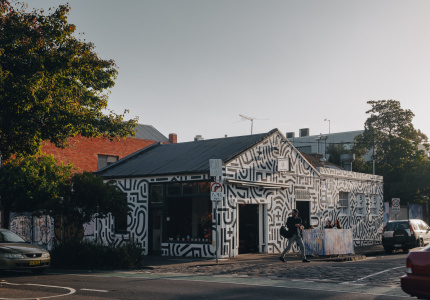 Started by Luke and Tabatha Dudley as a wholesale coffee roaster, their tin shed cafe has evolved into a world-class sourdough bakehouse. It’s often the busiest place in town, filled with customers buying breads, pastries and cakes baked by chefs David Poskins and Gary Haynes. The room has a causal vibe and no set menu, but jam doughnuts are a favourite, along with apple tarts, poached peach frangipanes and cinnamon brioches. 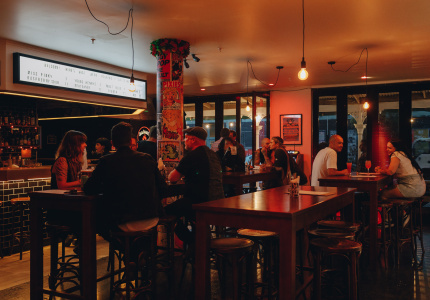 In just over two years Tomahawks has built its name on uncomplicated, tasty food. 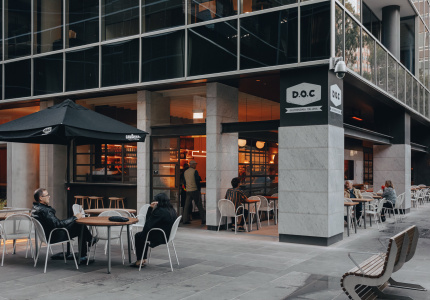 With a beer garden, a large, communal table and booths built out of repurposed materials, it’s a great spot to enjoy a burger. 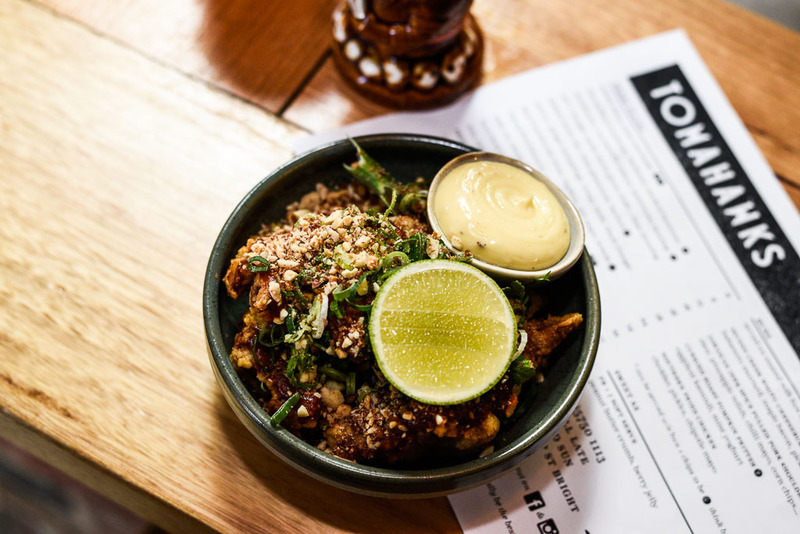 Their famous wagyu cheeseburger is a monster and menu favourite, but there’s also a curried roast pumpkin fritter burger and vegetarian side plates. Wash it down with one of their fun cocktails – we recommend the tiki sour or Jah Rastafari (rum, ginger, molasses, chilli, pineapple). Rising from the ashes of much-loved Bright restaurant Tani, the new venture for Hamish Nugent and Rachel Reed features casual evening gin tastings and cocktails and a menu of fresh, locally-sourced dishes ideal for sharing. Watch your dinner being cooked on a wood fire behind the bar. 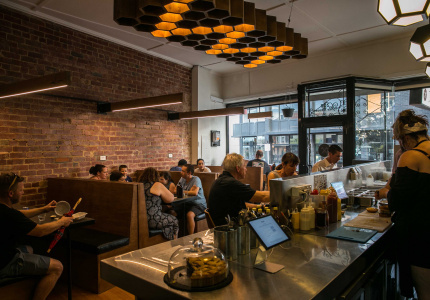 Try the wallaby tartare (from wild wallaby sustainably culled on Flinders Island) or the smoked cod. 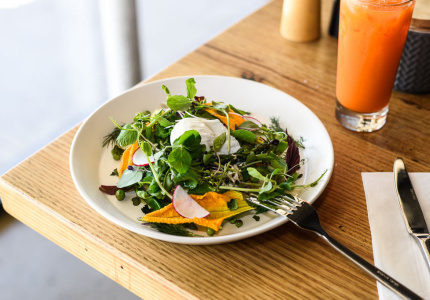 Pair your meal with their Remedy gin, which has notes of lemon-scented gum, desert lime, coriander and green tea. Like any great country bakery they have an award-winning vanilla slice, along with classic fare such as sausage rolls, and Shepherd’s pie, classic steak and kidney, and vegetarian quiche. 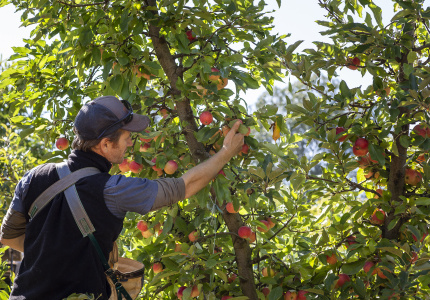 Jeff and Nikki procure most of the bakery’s fruit by fossicking for wild fruit from trees planted around Harrietville over 90 years ago. 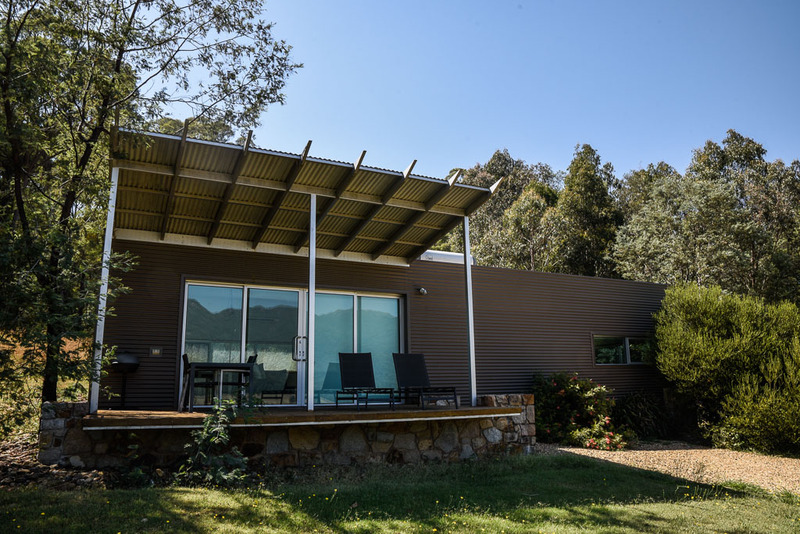 12 kilometres from Bright, The Buckland is a 60-acre property situated in a beautiful, light-filled valley with views of Mount Buffalo. Hosts Sabine Holsper and Eddie Dufrenne were drawn to the area by the stunning vistas and European trees. They offer studio accommodations with luxury furnishings and fire hearths, built with sustainability in mind. The birdlife throughout the property is abundant, and about the only noise you’ll hear.